Brighton Dental - Brighton Dental | We help you smile proudly. 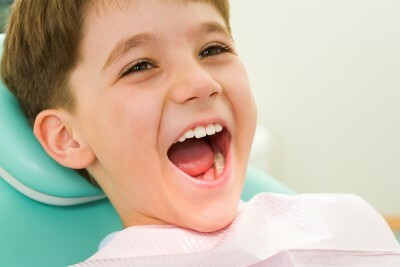 your perfect oral health is our guarantee. At the Brighton Dental practice of Dr. Dat K. Nguyen & Associates, we care about you. Our number one priority is your health and wealth being. We use the best equipment and technology available because we want to make sure you are as comfortable as possible during your appointment, and as satisfied as possible after your appointment. We are a down to earth family dentistry that cares about you and your family's needs. We proudly offer the most advanced technology and cosmetic dentistry, such as: Laser Dentistry, Digital X-Rays, and Dental Implants. We proudly serve the communities and families of Seattle, WA through providing the highest quality dental care possible, and have served our community since 2005. (We also serve surrounding areas such as Renton, Tukwila, Burien, Seatac, Tacoma, Federal Way, Auburn, Bellevue, etc.) . We promise that your experience with us will be the best you've ever had with any dental clinic. Let us help you make your smile the best it can be, so you can be the best you can be. 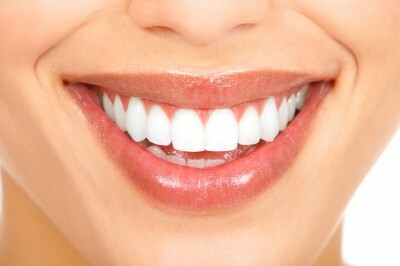 CREATE A HEALTHY SMILE THAT LASTS, CALL US NOW. Dr. Nguyen is the gentlest, most careful dentist ever. Really great care and an amazing scheduler and hygenist, too. She knows everything there is to know about insurance coverage, and always knows me by name. A wonder practice filled with wonderful people. Dr. Nguyen really listens to you and involves you in the decision making process; you have options and he wants you to know them and make an educated decision. This is by far the best dentist I've ever seen and if more practiced with this amount of care and honesty dentistry would have a completely different reputation. ​Thank you to the whole staff! Very gentle and caring dentist and staff. Fees are reasonable. I would recommend this clinic to anyone. Dr. Nguyen is a very caring dentist, he takes my comfort as the top priority in every appointment. I have always felt that I get the best quality care, as well. His staff is meticulous and his hygienist has incredible 'bedside' manner. The woman at the front is very friendly and remembers me everytime I call. She is knowledgeable about insurance carriers and the various loopholes I have to go through for best coverage. I do not go to a lot of dentists, but I have been going to Brighton Dental for two years now and if your insurance includes him as a provider, consider yourself very lucky indeed. I absolutely hate going to the Dentist... however, I love going to Brighton Dental out of all other Dentists. I'm so happy I came to this office. I have nothing but good things to say about them! Wow. Brighton Dental has got to be the best dental clinic in all of Washington. I have had problems with my teeth and headaches ever since I was young. I had never realized they were connected until Dr. Nguyen revealed it to me. Dr. Nguyen introduced me to ALF appliances that have absolutely changed my life. Not only do I feel more confident about my teeth and oral health, but other aspects of my life have been dramatically improved for the better. Ever since I was in middle school, I would have these random reoccurring painful headaches that were so excruciating that doing anything was dreadful. I have not had any since my visit. WIthout a doubt, Dr. Nguyen and the staff of Brighton Dental are the most caring and empathetic people ever. Thank you so much for the amazing work you do. Brighton Dental staff was absolutely amazing I will let everybody I know about this office the staff treated me like family took care of what I needed done this will be my Dental office. We have developed an extensive selection of services because we are dedicated to exceeding your needs. We uniquely offer state-of-the-art laser assisted services to pinpoint areas and eliminate pain. We excel at cosmetic services such as cosmetic bonding, implants, and teeth whitening, so that you can have the perfect smile you've always dreamed of. We offer both limited and comprehensive dentofacial orthopedics and orthodontics. We are the only clinic in the Pacific Northwest to offer ALF appliances. Get evaluated by our professionals for recommended action. We employ careful treatment to ensure you are completely satisfied.